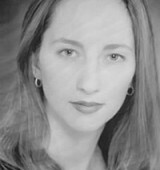 Carolyn has a Bachelor of the Arts from Point Park University studying Musical Theatre, Dance, and Education. She has been teaching for over 9 years and has directed and choreographed numerous shows and performances. She has studied under such greats as Savion Glover, Ron Tassone, Frank Hatchet, Ann Reinking, Deana Rizzo, Dee Caspery, and more. Carolyn has also performed professionally at such theaters as Derby Dinner, La Comedia, and Festival Kerhervy in France. Television & Movie Credits include The Christmas Tree, Desperate Measures, and the opening & closing ceremonies of the U.S. Olympic Festival.